We began our association at Robert Blackburn's Printmaking Workshop in 1988 - sharing a passion for etching and monotype. 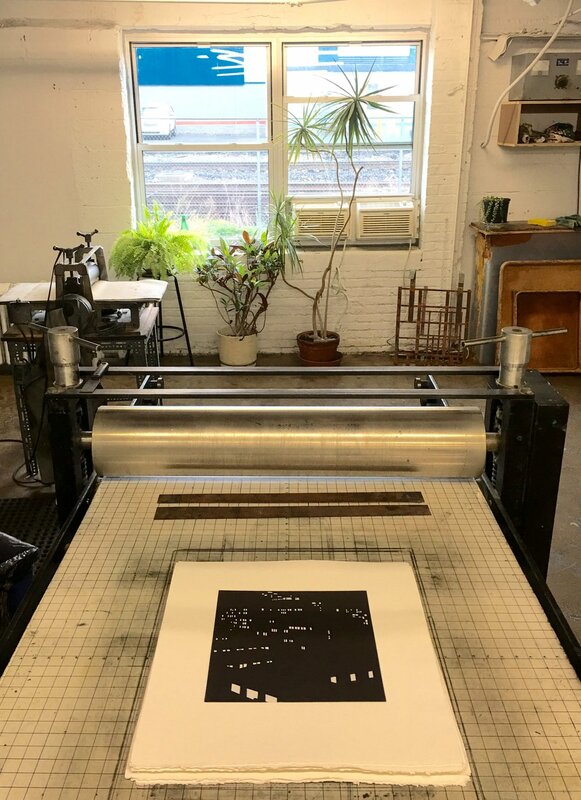 In 1999 we founded VanDeb Editions - collaborating with artists to explore the process of making prints while expanding their aesthetic vocabulary. It has been a joy to work with the 43 people who have produced prints of originality and superlative production values. Prints published by VanDeb Editions are included in selected collections: The Cleveland Clinic, The US Department of State, Tod Williams Billie Tsien Architects, Rutgers Archive for Printmaking Studio, IPCNY, The Cleveland Museum of Art, the Detroit Institute of Art, The Metropolitan Museum of Art, The Architects Newspaper, Nordstrom, J. Crew, Marriott, Montefiore Hospital, NYU Langone, Memorial Sloan Kettering, New Standard Hospital, Capital Group, NY Presbyterian, and Setai Hotels.